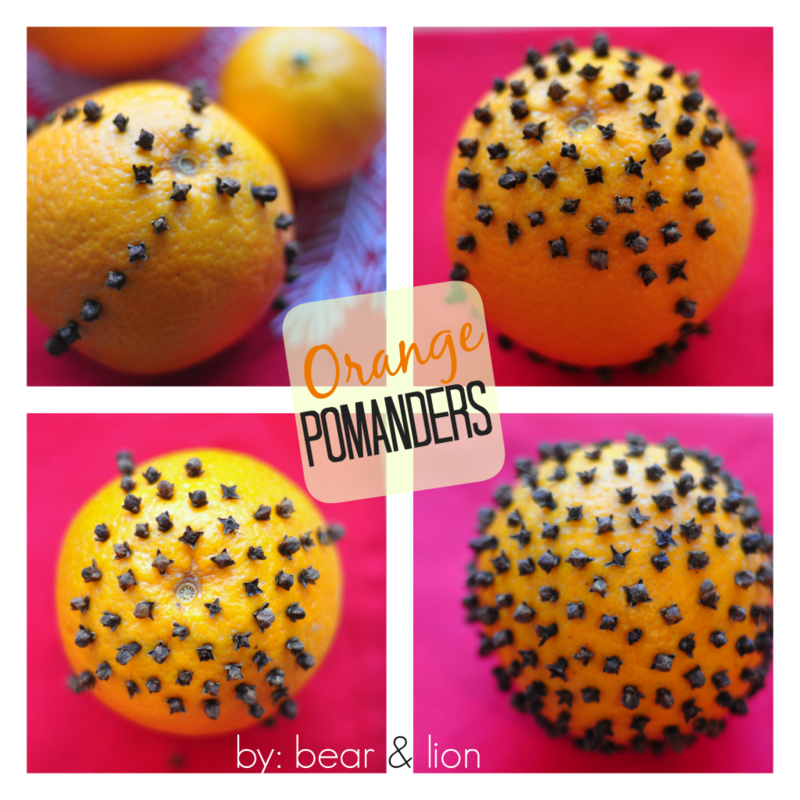 christmas pomanders are something i make every year. they are a wonderful gift for others and beautiful decorations in your own home. all you need to make these are oranges (or clementines) and cloves. i have made pomanders with different patterns; spirals or hearts, so pretty! adding a ribbon is a nice touch as well, just remember to add it first. some people suggest placing a rubber band around the orange to guide in making a straight line. just take a clove and poke it through the rind. it can get painful for your index finger after a bit, but it’ll be s worth it in the end… trust me! i made a pomender three years ago and it tried beautifully and still smells yummy!